Daniel on Did you say CHOCOLATE? Sometimes I just want a little something sweet…. just a little touch of something. I bought some sugar-free jellos and had one or two but couldn’t stand the artificial crappy ingredients they consisted of. I knew there had to be a way to make it healthier. I mean, gelatin, is actually a very healthy product. It is making a huge hit as it is a component of bone broth which is becoming increasingly popular. 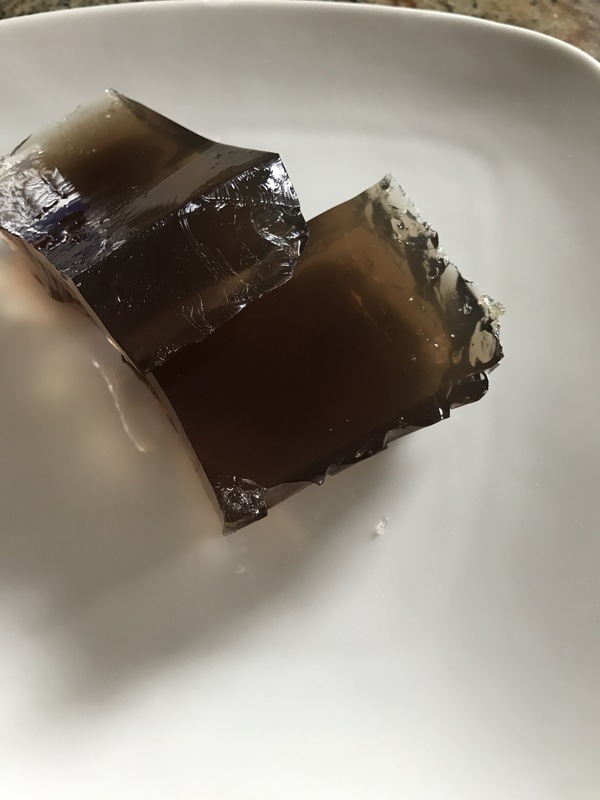 Gelatin helps promote a good nights sleep, helps with joint pain, is known for making your skin and hair healthy, improves your digestion system (so important as many ailments truly begin in the gut), lowers inflammation and oh so much more. I boiled a cup of water, then submerged three tea bags in it for five minutes. (I used blueberry green tea for the green tea and blueberry benefits, and because I had it on hand, but you can use any flavor you wish.) While I was waiting, I mixed four teaspoons of gelatin into a cup of water. I then mixed the two together. 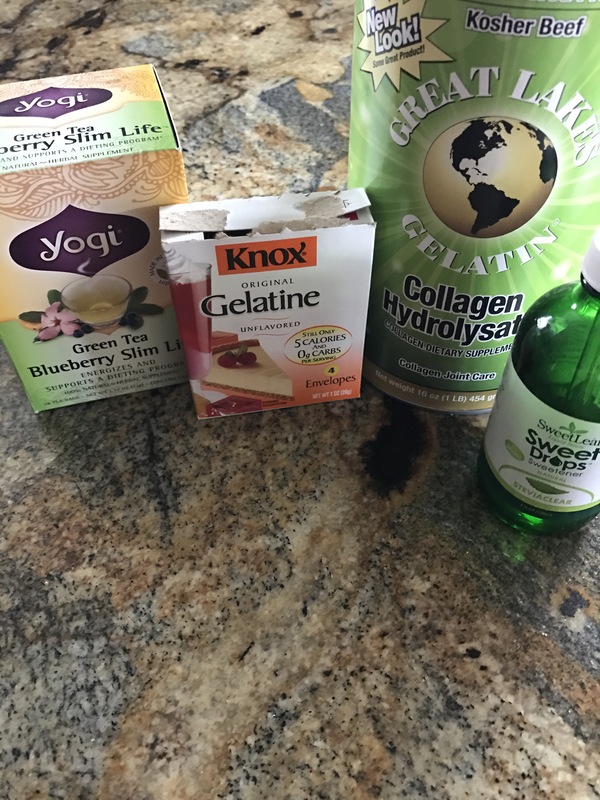 I added some collagen (which is really not needed as collagen is quite similar to gelatin….will do another post on why collagen is so awesome soon) and stevia to taste. When I tasted this before the gelatin set to jello, it was sweet. I thought maybe I had too much stevia. But after tasting it once it set, it actually lost a fair amount of flavor. Despite losing some flavor and sweetness, it was a great bit of sweetness after a meal and oh so benficial to my health as well. So ditch the store bought jello, premade or powdered that you make at home, and purchase some gelatin and make your own far healthier version today. So easy and so much better for your body. (I had this brand of gelatin at home already, once I use it though, I will be purchasing the Great Lakes brand gelatin. I use this brand of collagen and LOVE it and love that is is made from grass fed beef!). Previous postDid you say CHOCOLATE?